The Giants have not exactly been pegged as Kyler Murray fans, but the franchise in need of a long-term quarterback option is nonetheless hosting the 2018 Heisman Trophy winner, Ian Rapoport of NFL.com tweets. While Murray is now widely expected to be the Cardinals’ No. 1 overall pick, he has met with other teams. Not many, however. He did work out for the Raiders earlier this month. 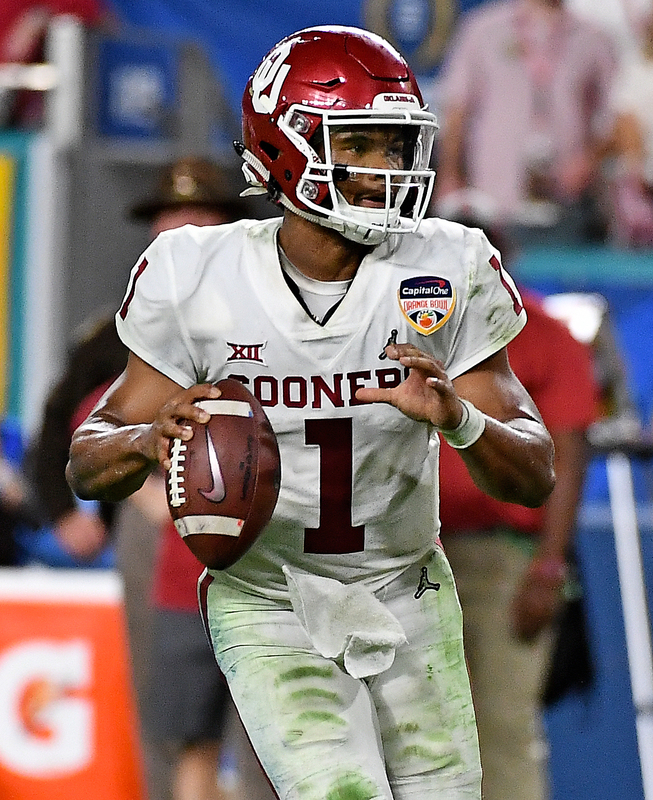 The former top-10 MLB draft choice has rocketed into the 2019 quarterback equation, but the Giants have been known to prefer traditional passers. Murray’s 5-foot-10 frame may have given the Giants pause, and were he to somehow slip to No. 6, the team reportedly would prefer Dwayne Haskins over the more athletic passer. Of course, this is probably moot anyway, with Murray almost certainly set to be off the board by the time the Giants go on the clock. Big Blue has met with Haskins, Drew Lock and Daniel Jones. Murray rounds out the quartet of quarterbacks expected to be taken in the first round. The Giants, however, are in need at several defensive spots and have been linked to preferring a pass rusher with their No. 6 overall pick. Jones at No. 17 surfaced as a possible scenario, however. The Giants, who have also discussed a Josh Rosen trade, remain one of this draft’s most interesting teams. Lmaoooooo what’s your obsession with me bud? I know a lot more than the idiots including yourself. Rosen is trash until he proves other wise, can I not get upset at people that clearly ignore the facts, and don’t add anything of value? Please tell me the last time I said anything about Kap and the Pats I’ll wait… Meanwhile the only time you comment is to talk about me, your obsession is creepy but I get it you don’t have the knowledge to talk about football so you just talk about me. You guys are getting emotional about guys who don’t know you exist. I enjoy sports but calm down. Go Giants!